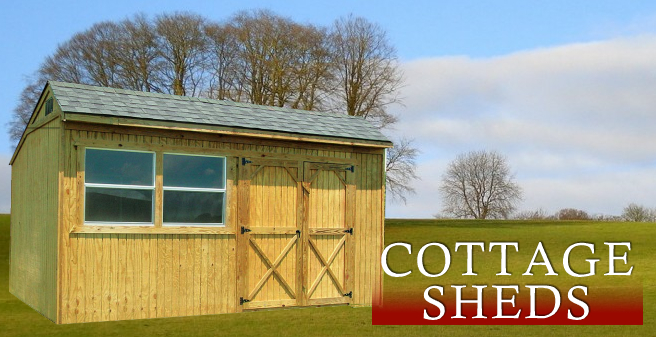 The Cottage Shed with the traditional salt box roof is available in 8', 10' and 12'-widths (14' & 16' available in some areas, based on hauling restrictions). 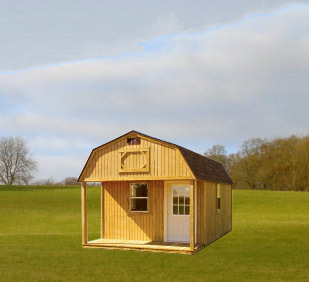 The 8'-wide features a single wood door and one 2x3 window. The larger models include a double wood door. The windows in the larger widths vary by the length of the side.